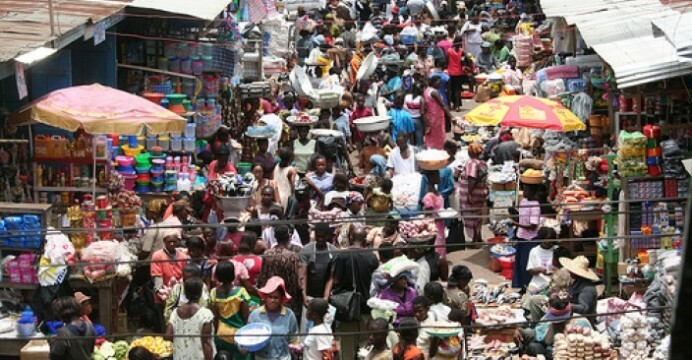 Traders at the Tafo Market in Kumasi in the Ashanti Region have called on city authorities to improve conditions at the temporary market they have been relocated to ahead of the redevelopment of the facility. The traders are among other things asking the Kumasi Metropolitan Assembly (KMA) to provide adequate lightening systems and the construction of drainage systems to allow for free flow of water. According to the traders, the area becomes muddy whenever there was a heavy downpour; making the place unsafe for trading activities. The Tafo Market which serves the over thousand residents within the Tafo sub-metro is one of the satellite markets to undergo redevelopment in the Kumasi metropolis. Government of Ghana is collaborating with Agence Francaise Devlopment (AFD) and the Ghana Urban Management Pilot Project (GUMPP) to redevelop the Atonsu, Asawase, Krofrom and Tafo markets to ease pressure on the Kumasi Central Market which would also be reconstructed soon. The KMA has moved the traders to three separate places within the Tafo sub-metro to commence the reconstruction of the market. Traders at Lagartha market, one of the temporary places the Assembly secured, have expressed concerns over the absence of lightening system and the muddy nature of the environment whenever it rains. Chairman of the Tafo Market Traders Association, Emmanuel K. Oppong appealed to the KMA to fix the challenge. He said criminals were likely to take advantage of the darkness to rob traders of their belongings. “Although the traders have engaged the services of private individuals to cater for their shops, the traders were still living in fear,”Mr Oppong stressed. Kapital news’ checks at the project site however, revealed that, the place was barricaded and construction workers were busily working. Engineer at the project site, Ernest Felly Gaise was optimistic the construction firm in charge of the project, Messrs Acheamfour and Sons Construction Limited would meet the construction deadline. The Kumasi Metropolitan Assembly said is putting in place measures to ensure the Traders conduct their trading activities at their temporary structure with comfort.